India – Indian cricket team is in Dublin for the upcoming T20I series and then the England series and it seems they are in the right frame of mind ahead of the grueling season. Indian captain Virat Kohli and gang was spotted having a great time on their off-time on tour. 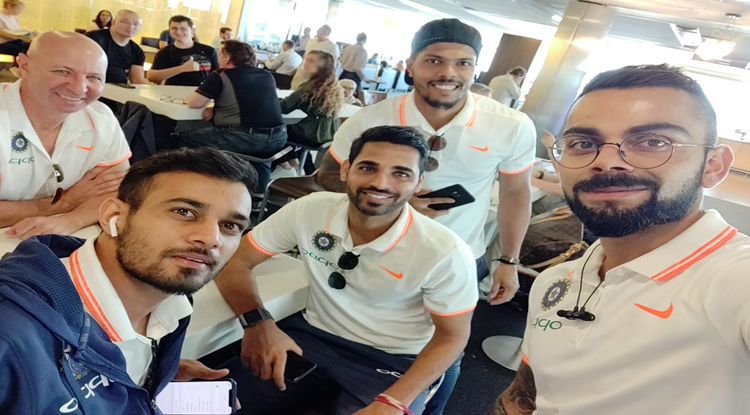 From sipping the Irish coffee to having a fun-filled interaction mid-flight, team India is leaving no stone un-turned when it comes to making the most of their off-time. Have a look at the Indian team at a Dublin coffee shop. Meanwhile, India will play 3 One Day Internationals (ODIs), 5 Tests and 3 T20I’s.